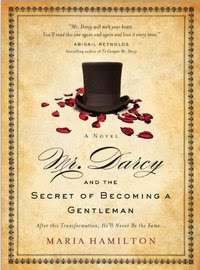 Mr. Darcy and the Secret of Becoming a Gentleman, by Maria Hamilton is a fantastic new Pride and Prejudice variation. 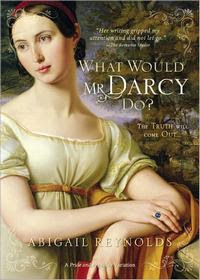 This novel tells the story of what would have happened if Mr. Darcy set off to take care of the problems he caused. 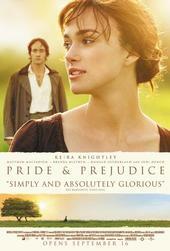 After Elizabeth Bennet's rejection of his suit, Darcy journeys to Hertfordshire to right his wrongs against his friend Mr. Bingley and Jane Bennet. Soon Elizabeth comes to see Darcy in a whole new light as he strives to be a true gentleman. Watch trailer #2 for the 3D reboot of Alexandre Dumas' The Three Musketeers (the official website has launched too with the trailer, story, and gallery sections so far...) starring Matthew Macfadyen (Athos), Milla Jovovich (M'Lady De Winter), Logan Lerman (D'Artagnan), Ray Stevenson (Porthos), and Luke Evans (Aramis). Can't wait to see this movie! UPDATE 6/29/11: According to Deadline: Summit has just announced that it is shifting the premiere date for The Three Musketeers back a week to Oct. 21. The Three Musketeers 3D is scheduled to open nationwide on October 14, 2011.October 21, 2011! On DVD and Blu-ray (in both U.S. and Canada) today(June 28th), isBarney's Version(an Oscar nominated film for Best Make-up, which was released in limited theaters across the U.S. since January 14th)starring Paul Giamatti (which he won a Golden Globe in the title role), Rosamund Pike, Scott Speedman, Minnie Driver, Rachelle LeFevre, and Dustin Hoffman. Order your Barney's Version (Two-Disc Blu-ray/DVD Combo)on Amazon.com! Or you can rent it, watch it on X-Finity on Demand, or better yet watch it on Netflix! Jena Malone's Sucker Punch film is available on DVD and Blu-ray today (June 28t). Go get your own copy or rent or watch it on Netflix! Variety reports that Emma Stone (Easy A, Zombieland, The House Bunny) has been offered the lead role: Elizabeth Bennet in the new film adaptation of Pride and Prejudice and Zombiesto be directed byCraig Gillespie (Fright Night,Lars and the Real Girl), which Lionsgate is releasing.The film is based on the tongue-in-cheek mash-up book by Seth Grahame-Smith, which is a re-telling of Jane Austen‘s “Pride and Prejudice” with a twist of Elizabeth Bennet and Mr. Darcy fighting against zombies. So far, Stone's only been offered the part and is not confirmed to star in this film yet. We'll find out soon enough, if she is or not. A proper and first trailer for Keira Knightley's new film, A Dangerous Method has been released courtesy of UK distributors Lionsgate (via Empire Online). As previously posted here five days ago, it has just been acquired by Sony Pictures Classicsfor its US rights and distribution. There's still no theatrical release date yet. The film, according the official press release (via Deadline), is currently in post-production. It was said to be premiering at the Venice Film Festival sometime in late August or early September. Also, previously, The Playlist posted the cruddy-bootleg-of-A-Dangerous-Method-trailer here! P.S. 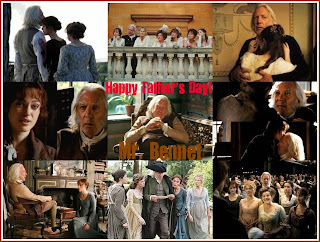 check out thisbeautiful father/daughter (Mr. Bennet/Lizzie)video: Cinderella. Jane EyreExciting news! 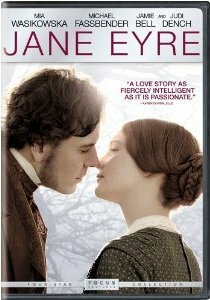 Jane Eyre will be available on DVD and Blu-Ray on August 16th!Focus Features (Pride & Prejudice and Atonement)' latest film adaptation of Charlotte Bronte's Jane Eyre starring Mia Wasikowska, Michael Fassbender, Jamie Bell, Judi Dench (Pride & Prejudice's Lady Catherine), Sally Hawkins, (2007 Persuasion' Anne Elliot), andTamzin Merchant (Pride & Prejudice's Georgiana Darcy). Deadline reports that Keira Knightley's new film, A Dangerous Method has been acquired by Sony Pictures Classicsfor its US rights and distribution. However, no theatrical release date yet. The film, according the the official press release below, is currently in post-production. It was said to be premiering at the Venice Film Festival sometime in late August or early September. Also, The Playlist posted yesterday the cruddy-bootleg-of-A-Dangerous-Method-trailer here! 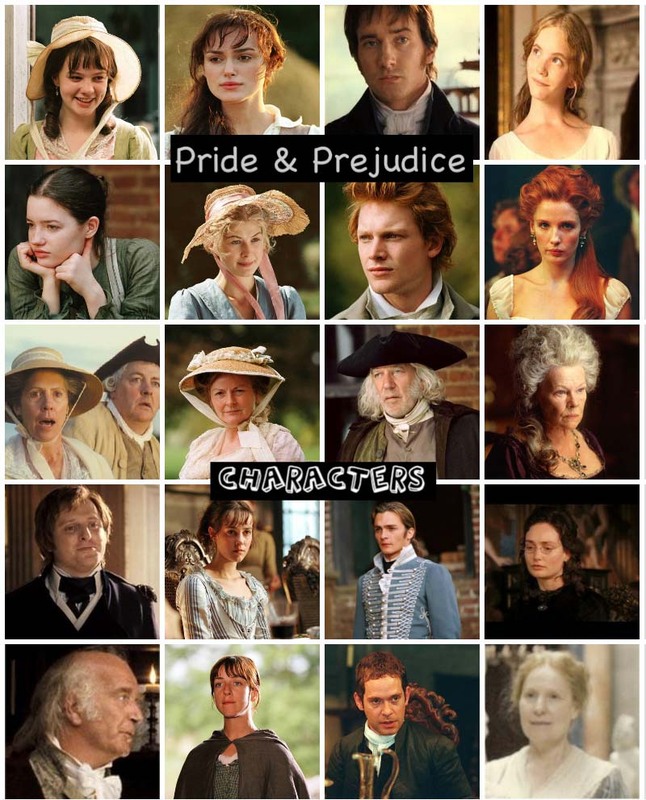 Ok, I did not forget about our favorite P&P male actors. Of course not. 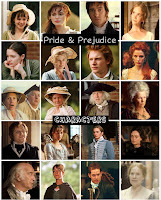 Not when the handsomeand darcylicious Matthew Macfadyen as Mr. Darcy leading the talented P&P men here.No, can't say that I would, lol.These wonderful men of the 2005 Pride & Prejudice film are as talented and incredible actors as their female co-stars, who dominated the P&P cast. Four (including season veteran and legendary actor Donald Sutherland) of them have been working steady and continued to get recognized on their own in various stage plays, television and film projects they've done since their P&P movie. Carey Mulliganrecently attendedthe after party for the opening night of her "Through A Glass Darkly" off-broadway play at the Chinatown Brasserie on June 6, 2011 in New York City. Coming this Summer (July) 2011 to Sky Movies in the UK and December 2011 to SyFy cable channel in the USA is the new original prequel (to Peter Pan)Neverland featuring the voice of Oscar NomineeKeira Knightley as Tinker Bell. From Emmy winning Executive Producer Robert Halmi, Sr. comes this original prequel to author J.M. Barrie's classic Peter Pan. Watch the first promo trailer (via Sky Movies), a teaser trailer (via Syfy.com)! 'The Three Musketeers 3D's First Poster! Summit Entertainment just released the first one-sheet poster (via Yahoo! 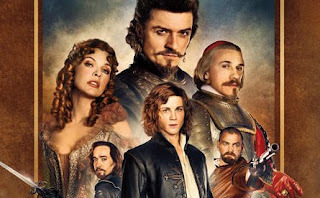 Movies) for the upcoming 3D reboot of Alexandre Dumas' The Three Musketeers starring Matthew Macfadyen (Athos), Milla Jovovich (M'Lady De Winter), Logan Lerman (D'Artagnan), Ray Stevenson (Porthos), and Luke Evans (Aramis). Check out the full one-sheet poster below! Jane in June at The Book Rat! Jane in June is currently in progress over at The Book Rat. Jane in June is an online tribute to Jane Austen, her novels, sequels with many fun activities planned throughout the entire month of June. 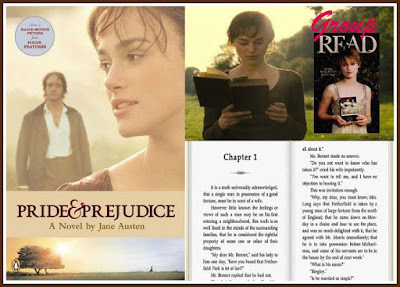 While you are there, be sure to check out contributions by a very popular author here at the Pride and Prejudice 05 blog...Sharon Lathan! Did I mention that they are also having giveaways? Among the many activities are Dear Jane Letters. I have written my own Dear Jane letter from a very unique perspective that you may read at: ChristyFarmer.wordpress.com. I hope you will enjoy it! 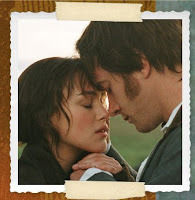 While you are there, feel free to browse and read other posts relating to Darcy and Matthew Macfadyen! Your comments and feedback are welcome! Is it just me or do you all think we could persuade the lovely Jeane to put up countdown clocks to the impending release of future Matthew Macfadyen films? 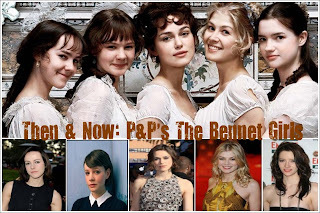 As aforementioned here in this blog, these young and very talented actresses (Academy Award® Nominee Keira Knightley, British Independent Film Awardwinner Rosamund Pike, Young Artist Award Winner Jena Malone, Academy Award® Nominee and BAFTA winnerCarey Mulligan, and Talulah Riley) who played the Bennet sisters brilliantly and quite convincingly in the 2005 Oscar and Golden Globe nominated film, Pride & Prejudicewere, in my opinion, all great together as sisters and an outstanding ensemble cast in their P&P 2005 film as well as individually, in their own other films before, during, or after they co-starred in P&P movie. Hello, fellow Devoted Fans of Pride and Prejudice! :) One of my favorite pastimes is reading P&P variations and sequels, and I am looking forward to sharing my thoughts on these novels with you. A lil' blog update and announcement to mention here. First of all, don't worry, I am not going anywhere nor am I moving this blog to a different host. 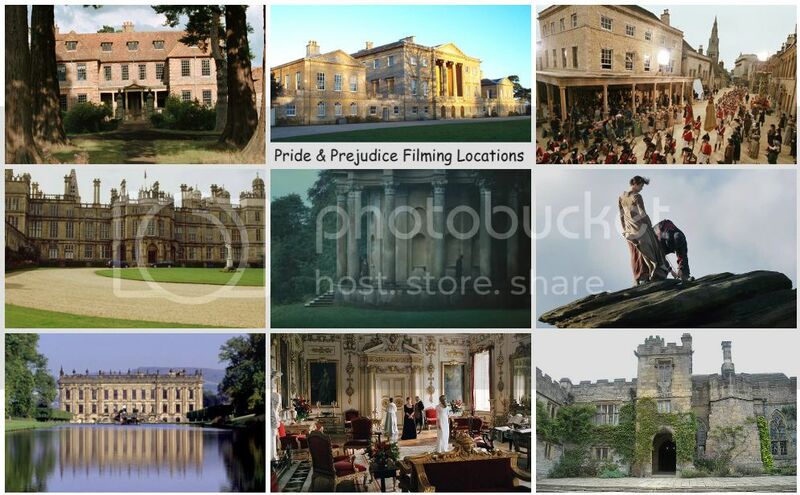 Rest assured, I've only just been working on keeping this blog updated as best as I could as well as added new things to keep you all updated on all things P&P/Jane Austen related topics and, of course, the 2005 P&P movie version we love, which this blog is most devoted and dedicated to. I just want to let you all know that I've updated some side bar contents/sections and pages of this blog and a lil' announcement, which I will get to in a bit. For now, check out the following things I've been working on. Bonnie Mae, who wrote the screenplay, produced, and directed the newindependent film, A Modern Pride and Prejudice starring Maia Petee and Caleb Grusing has not only sent me more production stills, promo posters, on set and behind the scenes photos of her cast and crew, but she also sent me a youtube link to...wait for it...the trailer!!! Yes, you read it right...the first trailer to her P&P movie and you get to see it here (before anywhere else) first! Also, the film is now completed and it's coming to DVD very soon! The new SyFyoriginal movie Red Faction: Origins starring Robert Patrick, Kate Vernon, Brian J. Smith, and Tamzin Merchant (aka Georgiana Darcy in P&P movie) premieres tonight (June 4th), on SyFy channel at 9 PM ET and repeats at 1 AM (June 5th). See tonight's Syfy schedule here! Movie News: Is Matthew Macfadyen joining Keira Knightley on Joe Wright's 'Anna Karenina' film? UPDATE 6/3/11: It's official Matthew Macfadyen confirmed for Anna Karenina!!! According to Matthew Macfadyen News (over at Topix. Thanks ladies!!!) Matthew's agency Hamilton Hodell has just confirmed Matthew will indeed be playing Oblonsky in Anna Karenina. Is our favorite Mr. Darcy, Matthew Macfadyen reuniting and re-teaming with his Pride & Prejudice co-star Keira Knightley and director Joe Wright in their upcoming film, Anna Karenina? If so, I think this will be the BEST casting news EVERRRRR!!! 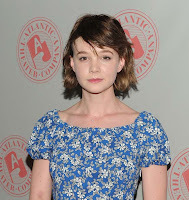 (well, at least here on this blog, lol)...Thanks to my friend and fellow P&P/MM fan, Sylvie Valente for the heads up on this wonderful casting news. Hopefully, this is true. It's not officially confirmed yet, but will find out soon enough. Claudie Blakley (aka P&P 05's Charlotte Lucas) currently co-stars in Chekhov's The Cherry Orchard at London's National Theatre. The play started its previews May 10th, with an official opening May 17th and runs through July. Jena Malone is a very busy young woman these days. Not only that she has her own music going on, she appeared in a few short films: Danko Jone'sI Think Bad Thoughts (short) with Karated Kid actor Ralph Macchio (who was recently seen in ABC's reality show, Dancing with the Stars), Selma Blair, and Elijah Wood. Rachel (Jena as titled character) - The journey of a US girl willing to enlist in the Army, obliged to face a crude reality. And David Goldberg (short) - as Vida, written and directed by Say Anything actress Ione Skye.